Let’s see … that leaves just 999,989 things left on the to-do list. One of the first things that must get nailed down is hiring a contractor. When selecting a contractor for your project, you’ll need somebody with an impeccable safety record who can not only bear the full weight of those responsibilities but do so on time and on budget — and with poise and equanimity. In other words, you want a pro. So: How do you select the right contractor for the job? You need to find a contractor who will get the job done with little to no implementation delays while saving you money and time by avoiding costly overruns, design snafus or material delays. As a general overview of the subject, what you need is a contractor who can work with you now and into the future. Selecting the right contractor who will partner with you long after the initial project is completed means you’ll have a trusted and valued partner who can help design, plan, manage and implement all facets of building construction, manufacturing, installations, and the ongoing process improvements that will help grow your business. 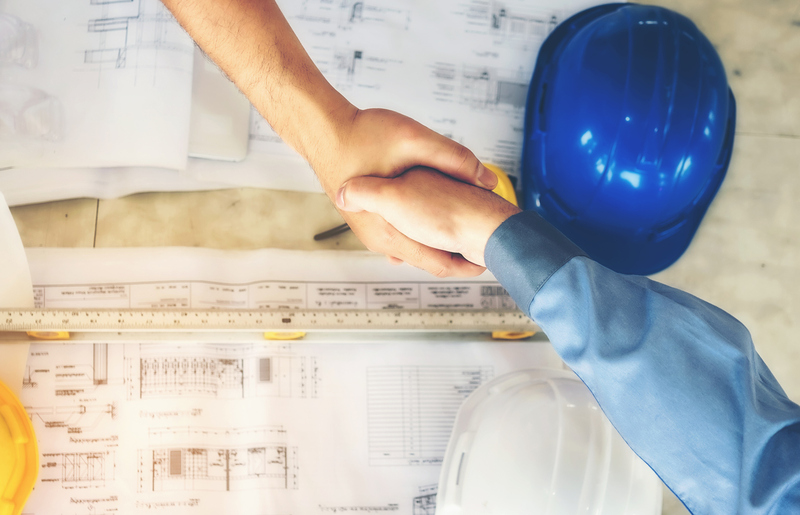 As we’ve written about before on the Storee Blog, you should select a contractor who can partner with you early in the process. That means being involved in the initial project designs, thus allowing for an integrated, hands-on, solutions-based approach to any system upgrades or automation that may be required in the future. You’ll also want to be mindful of your potential contractor’s ability to utilize their own connections. Is your contractor on excellent terms and in friendly business contact with subcontractors and material suppliers? This will prove to be of immeasurable benefit to your construction project since contractors should be able to keep the work going smoothly while anticipating — and thus avoiding — potential bottlenecks that might slow down construction. The right contractor will bring your construction project in on schedule and on or preferably under budget. So start with a plan, make sure to understand your business’ needs and budget, and get some recommendations and references from trusted colleagues who know whether or not a particular contractor is able to handle the size and scope of your project. And then let the bidding begin! As always, you can contact Storee with any questions.